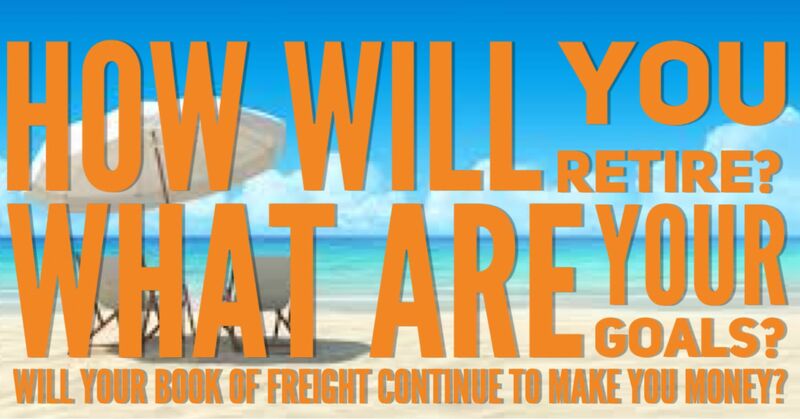 What do you plan on doing when it's time to retire from your career as a freight broker? If you're like most agents, you've spent your entire career building a book of freight, cultivating relationships with your customers, and nurturing your business. I've asked a few freight brokers what their plans are in a few years, and I mostly hear "Well, I'll just stop working. I can't sell it. Who would buy it? Who would take care of my customers?" That seems like such a sad end to such a colorful career. I know that Global Transport, Inc offers to buy your book of freight or we offer you a commission well after you've retired for any business that we retain from your book. Why aren't other companies offering the same thing? When you have worked in this industry for long enough that you're thinking about retirement or slowing down, you shouldn't be sent on your way with a pat on the back and a thank you. Most freight forwarders and freight brokering companies have the ability to compensate you. If you know that you'll be retiring in the next few years, you should be asking "What can I do to ensure that you'll take care of my customers when I'm gone? What can I do to help? And how will I be compensated long term?"